Abstract: In our cancer research, we have been using K computer (10 PFLOPS) of RIKEN Advanced Institute for Computational Science (http://www.aics.riken.jp/en/) and the supercomputer system Shirokane 2 (225 TFLOPS, 2PB Lustre file system, 2012-2015) and Shirokane 3 (440 TFLOPS from April 2015) with 12PB Lustre file system together with a nearline storage (1PB) connected to the IBM tape archive system extensible to 100PB of our Human Genome Center (https://supcom.hgc.jp/english/). The project called “Post K computer” started recently in order to co-design the “Post K computer” by applications. This project is also involved with cancer big data analysis. In this talk, we will first present highly parallel software applications developed in the project “HPCI Strategic Programs for Innovative Research Field 1 “Supercomputational Life Science” (2011- 2015) and the Grand Challenge Project for Life Science “Next-Generation Integrated Simulation of Living Matters (2006-2012). The first series of applications include various gene network estimation software applications (http://sign.hgc.jp/ signbn/, http://sign.hgc.jp/ signl1/, http://sign.hgc.jp/ signssm/, http://www.csrp.riken.jp/application_e.html) on both supercomputers. The second series include a series of software applications and pipelines for cancer genome analysis (exome, whole genome, RNA sequence) on these supercomputers. We present some of our contributions in cancer systems biology and cancer genome analysis with these software applications. 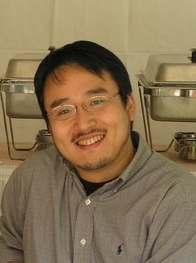 Speaker Profile: Satoru Miyano, PhD. 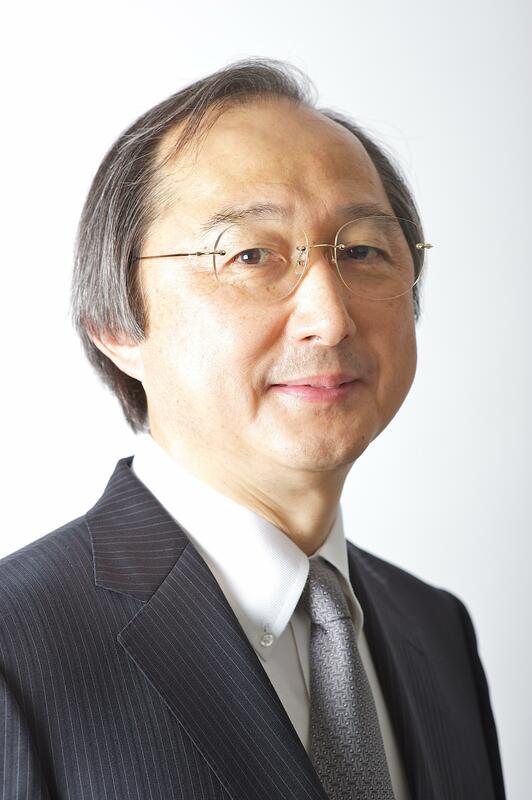 Director of Human Genome Center, the Institute of Medical Science, the University of Tokyo. He was graduated from Department of Mathematics, Kyushu University in 1977 and received Ph.D. in Mathematics. He became Professor of Kyushu University in 1993 and joined Human Genome Center since 1996. He is promoting personalized genomic medicine by genome data analysis exploiting mathematics and supercomputer. Simultaneously, he is directing the MEXT innovative area project “Systems Cancer Research” as PI. He served on the board of directors of the International Society for Computational Biology (ISCB) and given a name of ISCB Fellow. He also served as the President of Japanese Society for Bioinformatics. He is on the editorial boards of several journals, e.g., PLoS Computational Biology, J. Computational Biology, IEEE/ACM Transactions on Computational Biology and Bioinformatics, etc. Abstract: Accurate and fast approaches for automatic ECG data classiﬁcation are vital for clinical diagnosis of heart disease. In this talk a novel multistage algorithm that combines various procedures for dimensionality reduction, consensus clustering of randomized samples and fast supervised classiﬁcation algorithms for processing of the highly dimensional large ECG datasets will be presented. The extensive experiments were carried out to study the effectiveness of the novel multistage clustering and classiﬁcation scheme using precision, recall and F-measure metrics. The evaluation and the performance results of numerous combinations of various methods for dimensionality reduction, consensus functions and classiﬁcation algorithms incorporated in novel multistage scheme are described. The results of the experiments demonstrate that the highest precision, recall and F-measure are achieved by the combination of the rank correlation coefﬁcient for dimensionality reduction, HBGF consensus function and the SMO classiﬁer with the polynomial kernel. Speaker Profile: Morshed Chowdhury received his PhD from Monash University, Australia in 1999. Dr. Chowdhury is an academic staff member in the School of Information Technology, Deakin University, Australia. Prior to joining Deakin University, he was an academic staff in Gippsland School of Computing and Information Technology, Monash University, Australia. Dr. Chowdhury has more than 12 years of industry experience in Bangladesh and Australia. As an International Atomic Energy Agency (IAEA) fellow he has visited a number of International Laboratory/Centers such as Bhaba Atomic Research Centre, India, and Brookhaven National Laboratory, New York, USA, International Centre for Theoretical Physics (ICTP)-Italy. Dr. Chowdhury’s current research interests are Security in Internet of Things (IoT), Big data security, wireless network security & security of social networks etc. 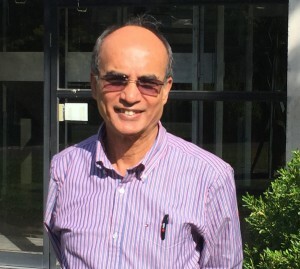 He has published more than one hundred ten research papers including a number of reputed international journal papers, conference papers and book chapters. He was a key note speaker in SNPD2012 conference in 2012. He also gave invited talk at the Information Security Laboratory, Institute of System, Information Technologies and Nanotechnologies (ISIT), Fukuoka Japan and Department of Informatics, Faculty of Information Science and Electrical Engineering, Kyushu University, Fukuoka, in 2014. Recently he gave a series of invited talk at Information Science Division, Kyoto Institute of Technology, Kyoto, Japan. He has organized a number of international conferences and served as a member of the technical and program committee of several international conferences since 2001. He is also acted as a reviewer of many International Journal papers. Abstract: The fields of biomedical researches included biology and medicine has resulted in a sheer amount of published reports, and papers. Above all biomedical text mining has emerged as a vital research domain that has an impact in the project development of these research areas. Therefore, we describe not only the important basic tasks of process of biomedical text mining but also our research experience as a practical approach which has been done from Korean NIH in the field. First we review several main previous approaches as well as tools for biomedical text mining. Second we explain our experience to develop a biomedical text mining system named Pubcluster, along with a practical demonstration of the system. Afterwards, evaluation results showing the stability of the system will be presented. Finally, future directions of our research group will be discussed. Speaker Profile: Bio Keun Ho Ryu is a professor at Chungbuk National University and a leader of database and bioinformatics laboratory in Republic of Korea since 1986. He is also a vice president of Personalized Tumor Engineering Research Center. 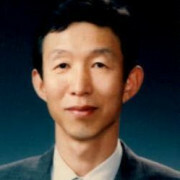 He received the Ph.D. in Computer Science/Engineering from Yonsei University in 1988 in Republic of Korea. His research interests are included in temporal databases, spatiotemporal database, temporal GIS, ubiquitous computing and stream data processing, knowledgebase information retrieval, database security, data mining, bioinformatics and biomedical. He has published over 1000 referred technical articles in various journals, international conferences, and books. He is a member of the IEEE as .well as a member of the ACM since 1983. Refer the website http://dblab.chungbuk.ac.kr for more detail. Abstract: An emerging era of the Internet of Things faces (or will soon face) manageability and configurability issues due to accelerated proliferation of pervasive sensor and actuation devises. This talk addresses these issues in an on-going project regarding a tiered architecture for cloud-integrated body area networks, called Body-in-the-Cloud (BitC). BitC is designed to facilitate biomedical and activity monitoring in home healthcare with two types of sensor networks (SNs): (1) body sensor networks, each of which is a per-patient wireless network of on/in-body sensors such as ECG and accelerometers and (2) ambient sensor networks, which wirelessly connect ambient sensors such as RFID sensors attached on the wall and foot pressure measurement mats on the floor. BitC approaches manageability and configurability issues with the notion of software-defined sensor networks (SDSNs) and a set of optimization algorithms, respectively. An SDSN is a network of virtual sensors, which are virtualized counterparts (or software counterparts) of physical sensors in the cloud. It represents physical SNs in the cloud and allows human administrators and cloud-based services to configure, deploy, optimize and monitor SNs. BitC’s optimization algorithms allow SNs to adapt and stabilize their configurations (e.g., sampling rates and data transmission intervals) according to operational conditions (e.g., data request patterns). This talk describes the design of BitC and summarizes simulation and empirical studies including proof-of-concept experiments for homebound rehabilitation. 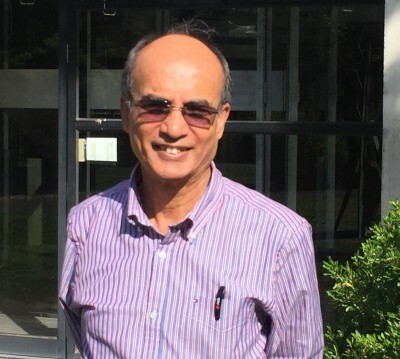 Speaker Profile: Junichi Suzuki is an Associate Professor of Computer Science at the University of Massachusetts, Boston (UMass Boston). He received a Ph.D. in Computer Science from Keio University, Japan, in 2001. Before joining UMass Boston in 2004, he was a postdoctoral research fellow at the University of California, Irvine (UCI) from 2001 to 2004. Prior to UCI, he was with Object Management Group Japan, Inc., as Technical Director. His research interests include autonomous adaptive distributed systems, body area networks, cyber-physical systems, biologically-inspired computing, molecular communication, model-driven software/performance engineering and multiobjective optimization. In these areas, he has authored three books, edited three books, edited 15 journal special issues, and published one industrial standard specification and 130+ journal and conference papers including 10 award-winning papers. He serves as the Editor-in-Chief for EAI Transactions on Body Area Networks and Wearable Computing and serves on the editorial boards for international journals such as Springer Journal on Complex Adaptive Systems Modeling and Elsevier Nano Communication Networks Journal. He has chaired or co-chaired such international conferences as IEEE HealthCom 2015 (general chair), IEEE PIMRC 2014 (PC track chair), BodyNets 2014 (PC chair), 2013 (general chair) and 2012 (PC chair) and ICSOC 2009 (PC chair). He has served as a panelist for the U.S. National Science Foundation, the U.S. Army Corps of Engineers Engineer Research and Development Center, the European Commission, the Israel Science Foundation and the National Research Foundation of South Africa. Abstract: The Psycho-informatics focuses on the developing and applying new methods for acquiring, organizing, and synthesizing psychological data using interface of computer and information sciences, neuroscience, and psychology. As Interdisciplinary, the challenge to employ inter-disciplinary expertise in psychological and neuroimaging research. Our projects are started from the Psychological Case Knowledge Base System to the electronic psychological testing. We also work in the area of Neuroscience data to predict the behavior and maturity of psychology of someone. Speaker Profile: Dr. Ford Lumban Gaol is currently Associate Professor Informatics Engineering and Information System, Bina Nusantara University www.binus.ac.id. He is the Vice Chair of Bina Nusantara University Doctorate Program in Computer Science http://www.tensymp2015.org/ and Research Interest Group Leader “Advance System in Computational Intelligence & Knowledge Engineering “ (IntelSys) http://research.binus.ac.id/intelligent-and-advance-system/. Dr. Ford is the Vice Chair of IEEE Indonesia section for International and Professional Activities http://ieee.web.id/indonesia/officers/. Dr. Ford is the ACM Indonesia past Chapter Chair. Dr. Ford is the IIAI Indonesia Chapter Chair. Dr. Ford already involved with some project relate with Technology Alignment in some of multinational companies as well as some government projects. For International highlight, Dr. Ford is the recipient of Visiting Professor in Kazan Federal University, Russia 2014 and 2015, Visiting Professor in Vladimir State University, Russia 2016, Invited Scholar in Aligarh Muslim University, keynote speaker in ICCNT 2014 and Invited Scholar in ICTP Trieste Italy. He has 50 papers that indexed in SCOPUS and 8 books that published by Springer German. He was General Chairs for some International conferences and IEEE conferences. Dr. Ford is member of Indonesian Mathematical Society (IndoMS), The Association for Computing Machinery (ACM) Professional, The International Association of Engineers (IAENG), and the Indonesia Society for Bioinformatics. He holds the B.Sc. in Mathematics, Master of Computer Science. and the Doctor in Computer Science from the University of Indonesia, Indonesia in 1997, 2001 and 2009, respectively.